W=Hb(2), health * beauty squared = wellness, I've never been one for equations, but, this works in your favour and the math is done for you. A power duo face serum, embracing the imagery and philosophy of yin and yang and providing your skin with optimum ingredients and results. Time for an introduction and an opportunity to get yourselves a 15% discount. Balance, the answer to an easier life, find a balance and the rest will follow, easier said than done. In a world that is constantly switched on, where do you find your balance, how do you embrace the yin and yang that keeps everything on a steady and even keel? 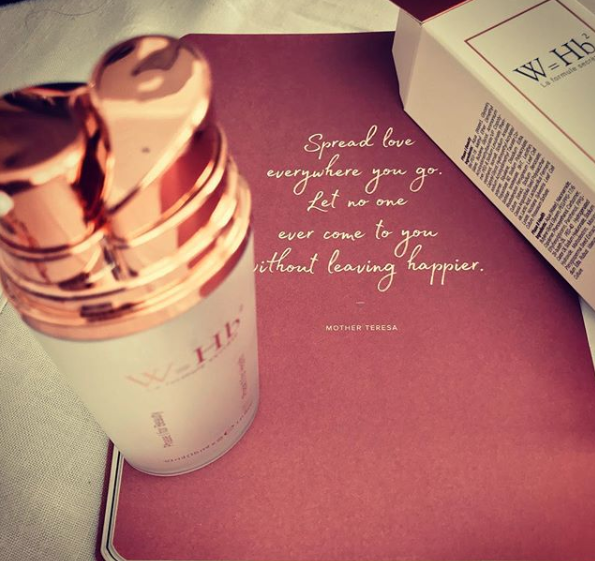 W=Hb(2), offer their skincare answer to this and as beauty is part of my life's balance, the joy of learning about new products, photographing and reviewing, gives me purpose and always my creativity to flow freely, so, this product appealed to me on many positive levels. Developed by a biochemist this duo, vegan triple-action serum can be used with any skincare you currently use, it fits perfectly into the routine you have or it may persuade you to start one after experiencing both phases of the serum, working to protect, brighten, hydrate and balance the skin, giving long-term and visible results. Balance your skin, both, morning and evening, phase 1 has a soft watery application, two pumps absorb quickly into the face, let this settle and then follow with phase 2 which is gel-like and I like to press this into the skin. Each phase of this product has a purpose, the first works on the renewal of the skin, its strength and vitality, the second works on the health, detoxing, control, and repairing existing damage and limiting future issues. Ingredients include Niacinamide, Moringa Peptide and Botanical Sodium Hyaluronate. As it is the early stages I can comment on my initial thoughts, the packaging is delightful, eye-catching, the yin and yang design works beautifully as the duo application. Both pumps allow a small of product to be deposited, so, nothing is wasted. The texture of both phases work well, they absorb quickly, fit nicely into my morning and evening routines, there will be more to come on the results I am seeing on my skin in a few weeks. The post does not include affiliate links, only trackable links - pr, samples or GWP feature unless otherwise stated. Please note statement about 15% commission received by myself if you buy after the 30day 15% offer has passed.